If you reach a juncture in your life at which you and your spouse or partner cannot care for your child, you may need to sign full custody over to a grandparent. 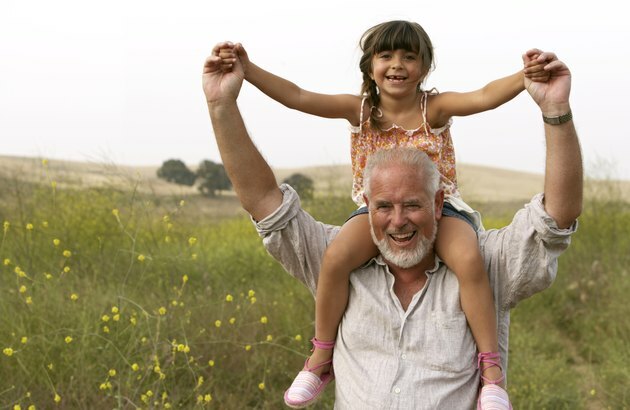 Despite some small differences in the laws associated with custody from state to state, the general process for signing over full custody to a grandparent is essentially the same no matter where you happen to reside, according to the American Bar Association Section of Family Law. Typically, signing over full custody to a grandparent occurs during the course of some type of judicial action--an abuse and neglect case or a paternity proceeding, for example. Obtain a voluntary child custody agreement form from the clerk of the court. Court clerks across the country usually maintain forms for use by people not represented by attorneys. Complete the form following the instructions provided by the court clerk. The agreement is not complicated. The process of filling it in basically requires the insertion of names of the parties. Sign the document. Both parents and the grandparent receiving custody should sign the agreement. Execute the document in front of a notary public. File the custody agreement with the clerk of the court in the pending judicial proceeding. Due to the complexity of custody issues, laws and court procedures, seriously consider hiring an attorney. The American Bar Association provides resources designed to assist you in finding and retaining an experienced lawyer to assist you with your grandparent custody matter (see Resources).